To celebrate the return of Doctor Who, and the arrival of new lead actor Peter Capaldi, the BBC has launched an interactive game allowing users to pilot the Tardis. 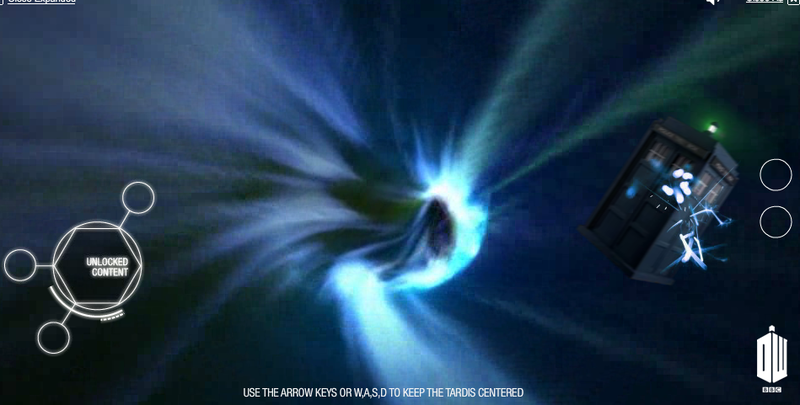 The expandable YouTube banner invites users to fly the Tardis through the time vortex, with the aim of landing at London's Parliament Square - where a crash-landed version of the Tardis has been mocked up (below). 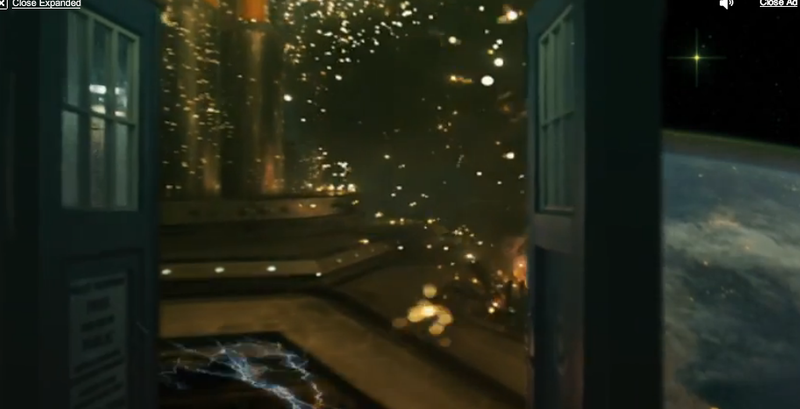 Successful gamers wil also unlock exclusive content, including a new scene featuring Capaldi's Doctor and his companion Clara, played by Jenna Coleman. The cast recently completed a world tour taking in Seoul, Sydney, Mexico City, New York and Rio de Janeiro to promote the return of the series.